For most women jeans are a wardrobe staple. Most of us own several pairs. Clearly, they are an important item of clothing, which means buying the right pair is essential. To help you to do exactly that we have put together this simple jean guide. Rather than just put together some general buying tips, we have decided that explaining which styles of jeans work best for each body type would be more helpful. These tips work well regardless of what type of trousers you are buying, so bookmarking this page is a good idea. If you do are carrying a bit of extra weight around the stomach area the waistband of your jeans should reach just below your tummy button. That way the heavy material will hold in your stomach slightly, without creating a muffin top. A wide waistband will help even more, there are some nice double button jeans around that are an especially good option. Women with hourglass figures look good in most cuts. However, because their waist is smaller than their hips it can be hard to get the fit right. They need to look for jeans that feature a contoured waist, or a pair with plenty of belt loops. Women with hour-glass figures tend to look their best in a tapered leg, which have plenty of room in the thigh area. If you have a curvy figure, you need your jeans to finish high in the back. That way, when you sit down they will stay in place, and will not reveal your underwear. Women with full hips and thighs have several issues to solve. They also need high waisted jeans, which finish at the top of the hipbone. A tapered leg can work, but usually a boot cut or dressy slim-cut jeans are better options. It is usually a good idea to opt for jeans that are made from thicker fabrics. This helps to hold everything in place, but can be uncomfortable when you sit down. If that is an issue for you, look for heavy denim that has between 2 and 5% Lycra built in. This mix provides just the right amount of flex, but still offers good support. If you have a straight figure most cuts can work, but low-riders look especially good. 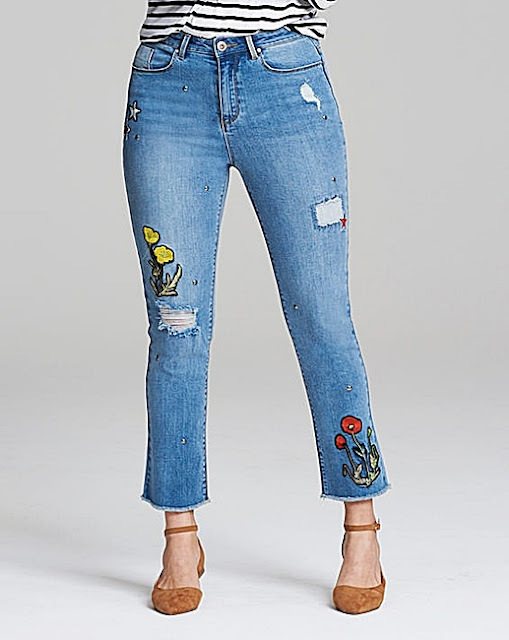 However, jeans that feature a contoured waistband that is made from several pieces of fabric are not likely to sit right, so they are best avoided. If you need more jean style inspiration, just click here. On that website, you can browse through nearly 150 pairs of jeans that cover every cut, and style. Including all of types we have spoken about above. It is a good place to gain a better understanding of what each cut looks like, and is also somewhere that you can buy a nice pair of jeans that are reasonably priced. Most of the time i prefer flare cut jeans because i think it looks good with me. But sometimes i wear straight cut too depends on the style of dress/top that i wear. Rarely wear skinny cut because i don't really like it. Good article, now I know what to go for. I used to own some pairs of jeans but can't fit into them anymore and never bothered buying new ones. I keep wishing that one day, I would be able to fit into them again! Maybe that's just wishful thinking.